If you see a drum set today, you might think about music immediately. And that’s not surprising because our generation is aware how this musical instrument has become the epitome of rock and roll. Apparently, drums have been around for a very long time, and most people are aware that this instrument has been used by numerous cultures for thousands of years. Other than music, drum sets have been used for other purposes including religious and military. Read on and learn more about the interesting history of drum sets. Prior to the development of drum sets, the individual pieces that comprise the modern kit were originally played separately by different percussionists. Thus, in 1800s’ orchestra piece, if the score called for cymbals, triangle, and bass drum, three individuals would be hired to play these instruments. 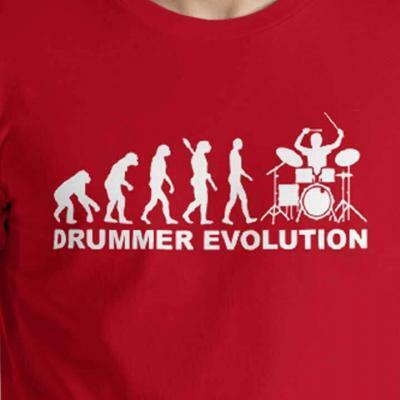 In the mid-1800s, the first drum pedal was invented enabling one drummer to play all the percussion pieces. Not long after that, cymbals and other sound effect percussion pieces were added. Musicians started to combine multiple drums into a set and play the percussion pieces using hand-held drumsticks. The invention of drum sets also led to the development of jazz music. From then on, drums have been an integral part of playing quality music in all parts of the world. A basic modern drum set typically consists of four to six drums: snare drum, bass drum, and two to four tom-toms. The kit also includes a ride cymbal, a hi-hat cymbal pair, and a couple of crash cymbals. Each of these pieces also has a history of its own. Centuries ago, the snare drum was originally used in a war along with a wind instrument. The development of drums coincided with the development of snare drums and their use for military purposes. In the late 1800s, the snare drum became more sophisticated, and the adjustable snare drum stand was also invented. Prior to that, the percussionists have to hang the snare drum over their shoulders. The bass drum was one of the most popular European musical instruments in the 1700s. It migrated to America and soon after, the foot pedals was invented to allow drummers to play various percussion pieces at the same time. The early foot pedals, however, require the drummer to reset them after each strike. Finally, in 1909, a drummer from Chicago named William Ludwig designed the first spring driven foot pedal, which revolutionized the drum set leading to the development of the modern drum kit. Although tom-toms were known as instruments of Native Americans, the similar instruments were first constructed by the Chinese people. The name “tom tom” came from Great Britain where it was used to describe a kid’s toy drum. These small drums were later developed to become a part of the modern drum kit. The hi-hat traces back to the “clanger,” a cymbal which was struck by a metal arm connected to the foot pedal. It later became a “snowshoe” which consisted of two foot-shaped boards with cymbals facing each other. Not long after that, the “low hat” was developed to make it more comfortable for the drummer to create desired without using too much force on their foot. Over time, the “low hat” became “hi-hat,” and the cymbals became bigger. Cymbals were originally used for religious and military purposes but eventually turned into musical instruments when people noticed that the metal made a pleasing sound when struck. From there, the Turks started to made cymbals and incorporated them into their music. In the 19th century, the Zildjian began manufacturing cymbals in the US and became the highly regarded brand in the music world today. Regardless of whether you’re a newbie or an experienced musician, you’ll identify with either of the two common types of drum kits nowadays. The acoustic, and electronic drum sets which are individually popular for their own unique features. The acoustic drum set allows the drummer to play each percussion set with great feel and touch. It also helps the musician to learn and perform drum rolls and other drumming techniques to a better and more realistic level. No need to use an electronic amplifier for small gigs and band rehearsals because this kind of drum set already produces a loud sound. Acoustic drums are typically big and heavy. 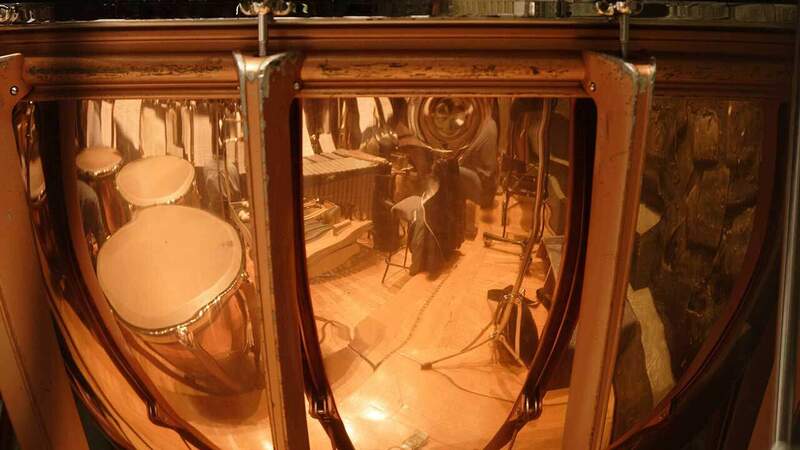 Each percussion piece needs to be connected to the stand properly to make sure no screw or bolt will lose while playing. From the bass drum to cymbals, the set typically comes in appropriate sizes, that is why it is a perfect option for musicians who want to have a real drumming experience. This is perhaps one of the most advanced innovations in the music industry. The electronic drum set allows the drummer to practice with earphones, so there’s no need to worry about grumpy neighbors complaining about the noise when playing music. Most brands also come with built-in tracks allowing beginners to learn how to play along and an audio recording feature for pros who are looking to make their own music. The electronic drum sets have the ability to work with apps and interactive software to provide musicians with everything they need, from tutorials to sound recording properties. This drum kit also comes with easy-to-use mode control to allow drummers to adjust the volume and tone according to their preferences. The acoustic and electronic drum sets are just two of the most common types of drum sets nowadays. There are a lot more, but if you’re going to check each type, you’ll notice that despite innovations, the drum kits still bear the same setup that the developers made when these musical instruments were first introduced to the market. 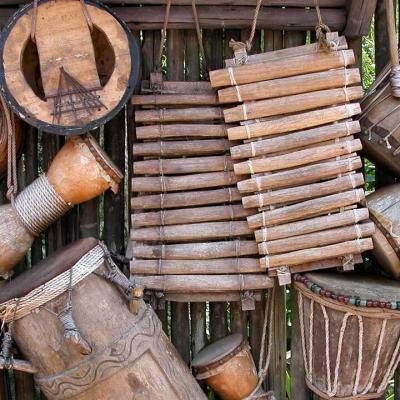 With the continuous improvement of modern percussion kits, it is worth to look back and learn about the history of drum sets to keep us reminded that each item has great stories of origin before they become part of this amazing musical instrument.